Started a new segment today! Started a new segment today will be doing it once a week.... usually will be Giants related! But today I wanted to combine my two loves sports and movies! Check out my top 10 sports movies of all time! Enjoy!!! Never mind won't let me post it yet. When I fix it ill put it on here! Miracle - met Jim Craig and he hated it too. Disney strikes out. That was beyond a hockey game. It was US vs Them and they weren't the Soviets. They were the Central Red Army and represented everything we feared. Thanks for the input! I put Rounders on there specifically for that reason to stir up debate lol. But such a GREAT movie. League of their own I actually thoroughly enjoyed, one movie I forgot was remember the titans. The Rookie is also a fantastic baseball movie. Sandlot is a very good suggestion as well. I enjoyed miracle but I get what you're saying. Also IDK if you guys are baseball fans but I do met videos to if you'd like me to post just let me know. Hope any Met video is a funny rant for that House of Charlatan. Born in 85 huh. Catch the Rising Stars. Yeah, that was before the Wild Card. It was great coming in 2nd place for years. Baseball like it Outta be and the Ultimate team followed by drugs, women, who the (blank) knows and the Dodgers. Howard Johnson and Kevin Mitchell were backups in 86 and competed for the HR lead years later . . . with Mitchell on another team b/c he was a bad influence on Straw and Doc. Of course Mitchell remained clean and Doc and Darryl continued their downward spiral. SA - love his arrogant "Maverick" book. Maybe he'll keep Reyes around for a few more years. He still has a better arm than Rosario who apparently needs a lesson in Little League hand placement for a bunt being his knuckles face the oncoming pitch. Yea I missed out lol. That 86 team must have been an incredible team to watch! 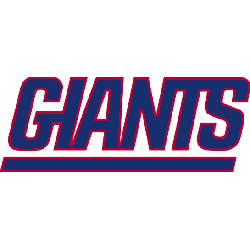 What a year for NY Sports between them and the Giants... ill show you this weeks episode on what I think the mets should do this week and then im all out lol.... Til next week! And I cant stand Sandy Alderson its one thing to belieeve in sabre metrics I can appreciate that. But it should be used as a tool in the bag, not the whole bag. And Islanders were still fun!! "86 was awesome!! Ya missed pride of the Yankees, The Longest yard (Burt Reynolds,( screw Sandler! ), Brian's Song!! Jim Thorpe story!! Cant argue too much with your list.